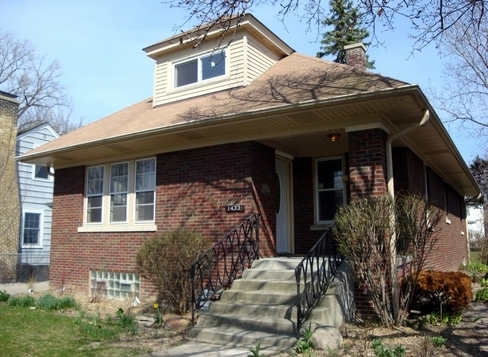 1433 Glencoe, Highland Park. Photo courtesy of Realtor site. 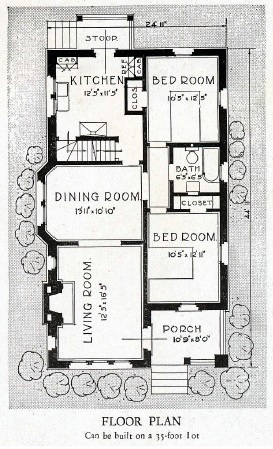 Sears Westwood, from the 1929 catalog. This authenticated Sears Westwood was built in 1932. 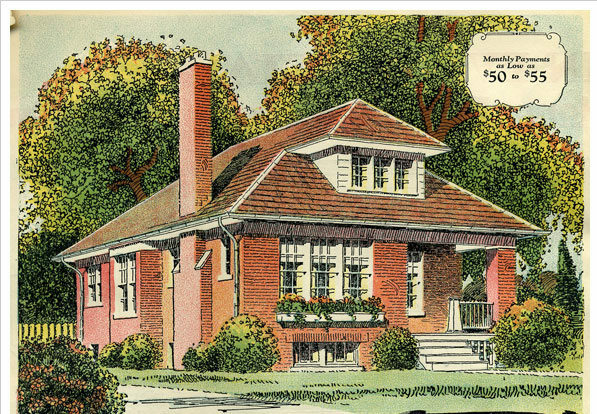 The original owners were James D. and Martha Galloway, and they got a mortgage from Sears for $5800 in March of that year. The building permit lists the architect as Norman W. Kandl and the builder as Riforpiato Construction. The Westwood in Highland Park is missing the living room fireplace. Fireplaces were optional. A wintry shot. Photo courtesy of Lisa Temkin. The exterior looks very similar to the Sears Collingwood model. The Westwood has a brick facade and has different room measurements. One feature that distinguishes the Westwood from the Collingwood is a subtly angled bump-out in the dining room. There's the slight angle in the dining room of the Westwood in Highland Park. Photo courtesy of Realtor site. 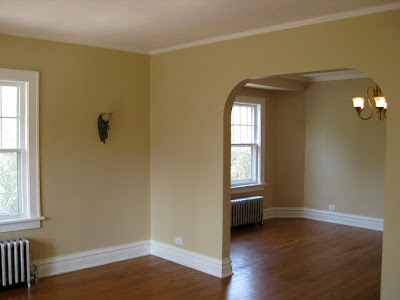 Arch between the living room and dining room. The homeowner emailed me about some of the house's original elements: "The hardwood floors are original, the original windows are in the LR and DR, and La Tosca hardware is on the original, wood doors."